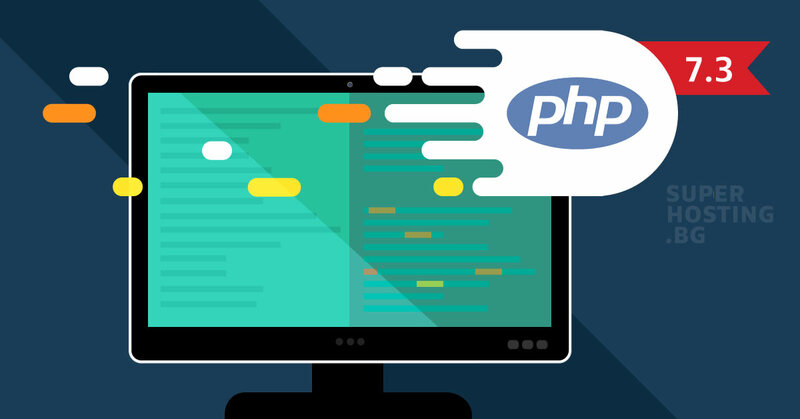 The latest version of the most widely used web scripting language for building dynamic websites - PHP 7.3 is already supported by SuperHosting.BG. Versions 7.1 and 7.2 which were released after the major 7.0 offered many language improvements related to enhancing the performance and increasing the security of PHP applications. The new PHP 7.3 now comes with interesting improvements and new features. This version seems to be much faster and better performing than the previous 7.2 as benchmarks and comparisons show. PHP 7.3 is supported on all hosting servers with SuperHosting.BG. Performance benchmarks for PHP 7.3 show that this version is considerably faster than 7.2. New is_countable() feature has been added. Now there is also support for the SameSite directive upon creating PHP cookies. The SameSite attribute to the HTTP cookie can be used to protect from CSRF (cross-site request forgery) vulnerabilities in the web application. This attribute points that a specific cookie shall be sent only with requests initiated from the same domain. Hence the application is able to detect and deny execution of requests sent from a remote or untrusted source, acting as the user browser. This attribute is still a suggestion for a Web standard, but it is supported by the latest versions of some browsers such as Chrome. Support of Heredoc and Nowdoc syntax. Migration into the PHP core - using PCRE2 instead of PCRE. PHP features and the current code are kept intact as only new options are added to the expression interpreter (old PCRE and new PCRE2 syntax for regular expressions). Deprecated in PHP 7.3: image2wbmp(), fgetss() and others. The new WordPress 5.1 is fully compatible with PHP 7.3. Before enabling PHP 7.3 for your WordPress website, make sure that all plugins and the theme support PHP 7.3. If you are using the shared hosting or Managed VPS services you can enable PHP 7.3 through cPanel » PHP Manager by SuperHosting. Tip: Before switching to PHP 7.3 you can test your website and its components’ performance by creating a staging copy of the website in cPanel. After you create the staging copy, you can enable PHP 7.3. Then you can perform tests to make sure everything works properly with the new PHP version. If you enable version 7.3 directly on the real website and notice that a certain functionality does not work, you can always downgrade to an older PHP version through PHP Manager by SuperHosting which is available in your cPanel.